It’s been a while since I posted here. A good part of that has been the summer weather and general lack of night time at UK latitudes. I’ve also has an observatory build project running which has consumed time but is now nearing completion. 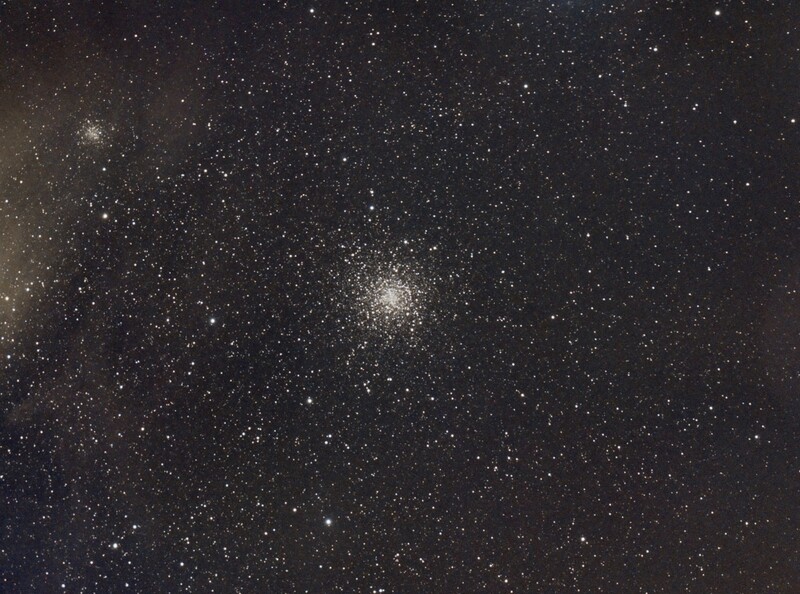 My last post mentioned the globular cluster M4 in Scorpius. M4 never gets very high from the UK and the window of opportunity for taking pictures is really small; really limited to just one new moon period in early summer. The southern horizon at Suffolk was exceptional and whilst scanning the sky with binoculars I noticed that this object was looking as good as I’ve ever seen it from the UK. Due to an oversight when parking the van and setting up the telescope I had the onsite wind turbine directly to the south so had to wait a short while for M4 to clear this and then took 3 10 minute exposures. With M4 only 10 degrees above the horizon light pollution is normally a big problem and when looking at these images it did appear that I had a sizeable gradient across the image. However, further processing revealed that this is the due to the reflection nebula around Antares (just out of frame) and not the more usual sodium lighting. …and the AirMass (Relative optical path length through atmosphere) at 10 degrees altitude? 5.1.